The Professional Rodeo Cowboys Association is organized in a slightly complicated fashion into circuits and tours that can be very confusing to those who have no idea about the road to the Wrangler National Finals Rodeo. I would like to dedicate and entire blog to the circuits, tours, finals, and qualifying for those of you who would like to be further enlightened. I liken the circuit idea, which started in 1975, to the motto of the Northwest Professional Rodeo Association of the “Weekend Cowboys” (although the PRCA dubs them the “weekend warriors” – a little more intense). These are people who are able to keep a Monday through Friday, 9:00 am to 5:00 pm job and still be able to go rodeo on the weekend and qualify for a finals-eque rodeo. What are the geographical regions of each of the circuits? Columbia River Circuit – Located in the northwest consisting of Washington, Oregon and the northern tip of Idaho. California Circuit – The state of California. Wilderness Circuit – Located east of California it includes the majority of Idaho, Nevada and Utah. Montana Circuit – The state of Montana. Mountain States Circuit – Includes Wyoming and Colorado. Turquoise Circuit – Includes the states of New Mexico and Arizona. Badlands Circuit – Includes North and South Dakota. Prairie Circuit – Includes Nebraska, Oklahoma and Kansas. Texas Circuit – The state of Texas. Great Lakes Circuit – Includes the states of Wisconsin, Iowa, Minnesota, Indiana, Ohio, Illinois, Michigan, Missouri, and Kentucky. First Frontier Circuit – Is the northeastern most part of the United States and includes Maine, Vermont, New Hampshire, New York, Pennsylvania, Massachusetts, Rhode Island, Connecticut, Virginia, West Virginia, Maryland, Delaware, and New Jersey. Southeastern Circuit – Includes everything in the southeastern part of the United States which includes Louisiana, Mississippi, Alabama, Georgia, Florida, North Carolina, South Carolina, Tennessee and Arkansas. How does a contestant pick a circuit? The cowboy or barrel racer picks their circuit based off of their preference or off their home address. Meaning that if I am from Louisiana I could compete in the Southeastern Circuit as my home circuit or I could choose, say, the Wilderness Circuit for my home circuit. 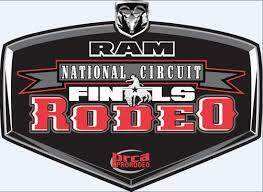 At the end of the season, each of the circuits will have their own respective Circuit Finals rodeo. The contestants for the finals are competing for the top spot at their circuit finals as well as the overall top spot as these top two cowboys will represent their Circuit at the Ram National Circuit Finals Rodeo. This rodeo has been held in the past in Idaho before moving to Oklahoma in 2011. In 2015, it has moved to Kissimmee, Florida where they have added more sponsor money for the contestants to win – thus the big move to a not so stereotypical rodeo area. The PRCA expects a surge in rodeo’s fan base as they tap into an exciting tourist location that is loaded with theme parks and other exciting adventures (not unlike the Wrangler National Finals Rodeo in Viva Las Vegas!). They are also a heck of a lot closer for all of the Texas cowboys (who compete in circuits all over the country) than, say, Nevada. It will be harder for the northern cowboys to make it but a chance for nice weather for a winter-ish rodeo is more than exciting for these cowboys! Overall, despite the more recent development of the Circuit Finals System, I have to say that I am a fan. Not everyone has the time nor money to travel the large tours that the big names (think Trevor Brazile, Tuf Cooper, Bobby Mote, Kaycee Fields, etc.) compete on all around the United States and the circuit system allows a huge opportunity for these people to be rewarded for their time, dedication, and hard work to the sport and it’s sponsors. Don’t be confused though, the big name cowboys will most likely qualify for a circuit for the Ram National Circuit Finals so you will get to see the fan favorites competing against the Weekend Warriors. One of the great attributes of the circuit system is that it allows a younger cowboy or a “weekend warrior” to find success through the ranks, winning larger and larger purses to help fund them down the rodeo trail. It’s not a surprise to see someone win enough money through the circuit system to put them on a the national tour and a run for the Wrangler National Finals Rodeo. My next rodeo topic will be about the Tours that you see the big names at and some more information about that as well. Feel free to ask questions! I don’t know all the answers, this is how I learn more via researching and questioning those directly involved with the field. Oh that makes sense!! I was wondering what people meant when they were talking about curcuits. Got it now. 🙂 Thanks. Do you know why Montana, Texas, and California have their own circuit? It’s because they’re so large with so many PRCA rodeos that they can have enough sanctioned rodeos to work. There isn’t a required number but like California can have 50+ rodeos while the 13 or so states in the First Frontier may only have 30 sanctioned rodeos.